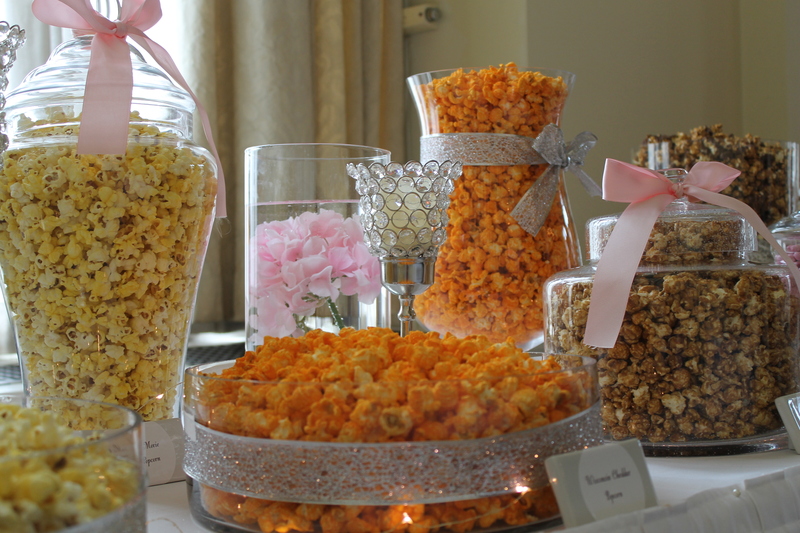 First discovered in Mexico 9,000 years ago, popcorn has become a favorite American snack. 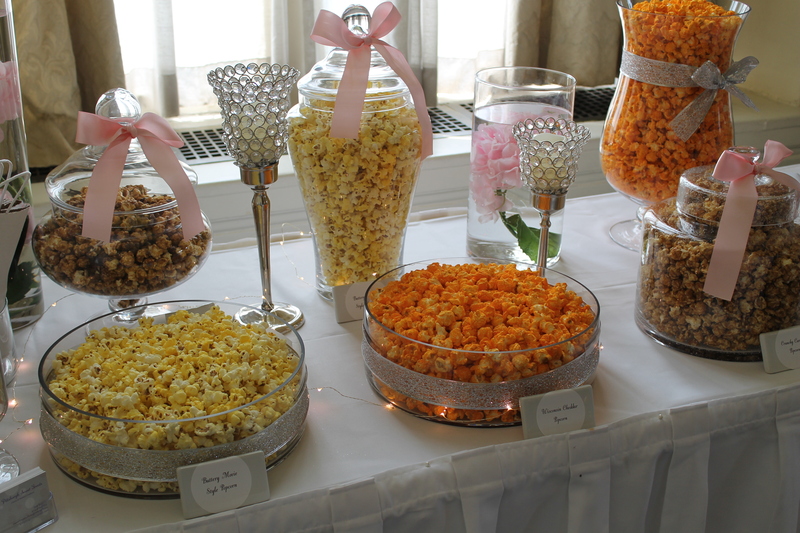 We can create a popcorn bar to include a variety of flavors and add popcorn mixers of candy, nuts, and marshmallows. 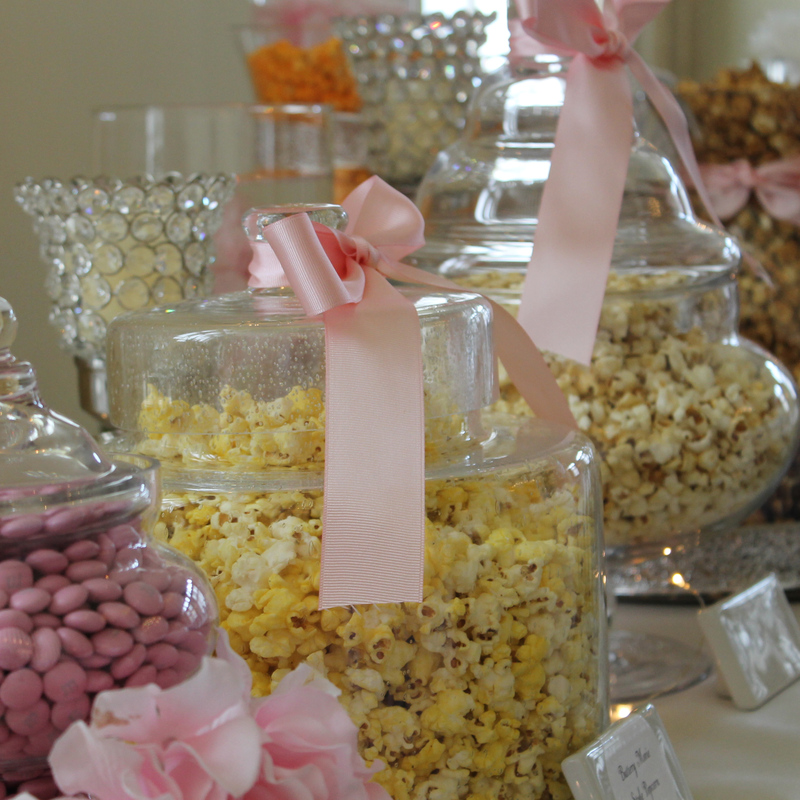 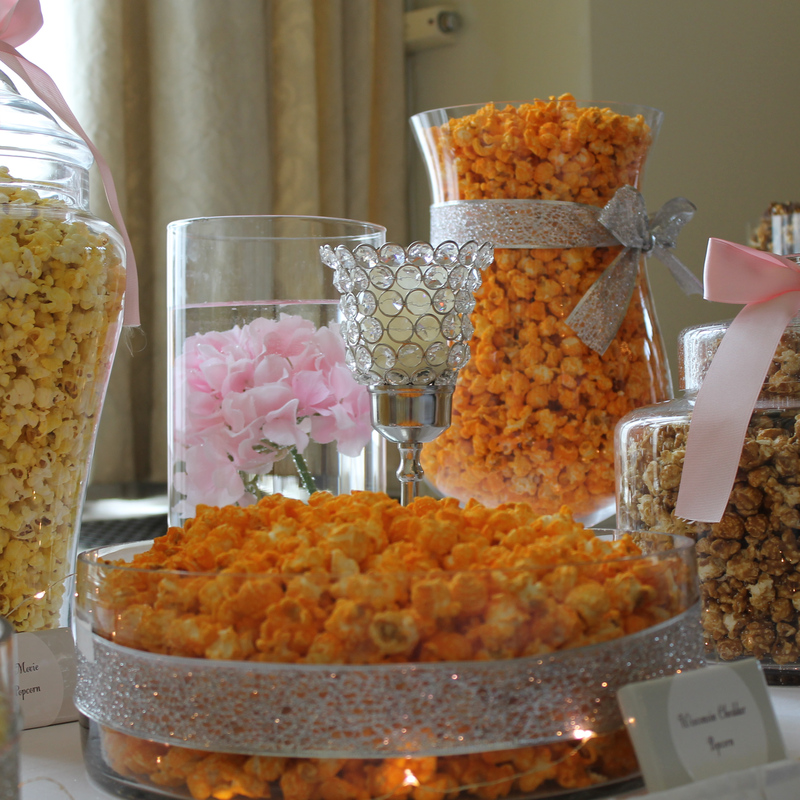 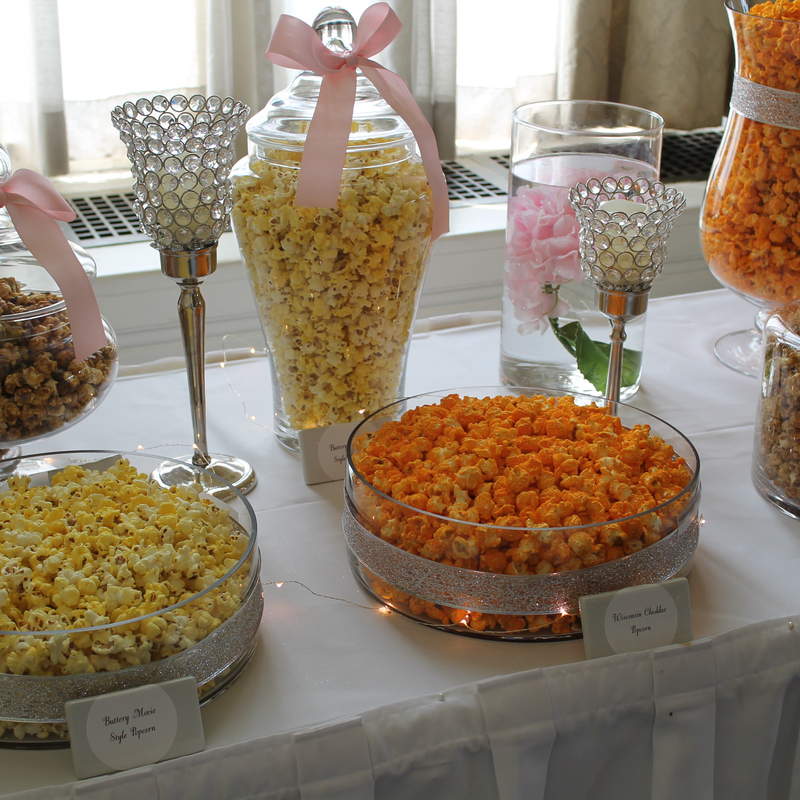 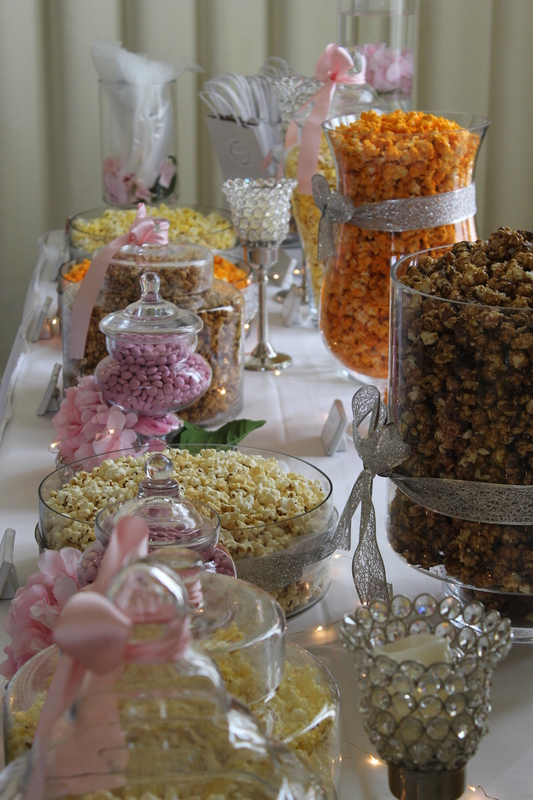 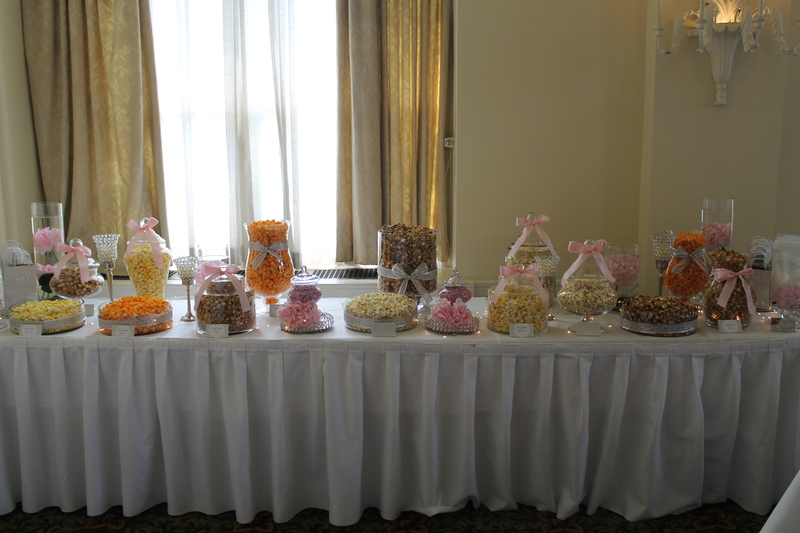 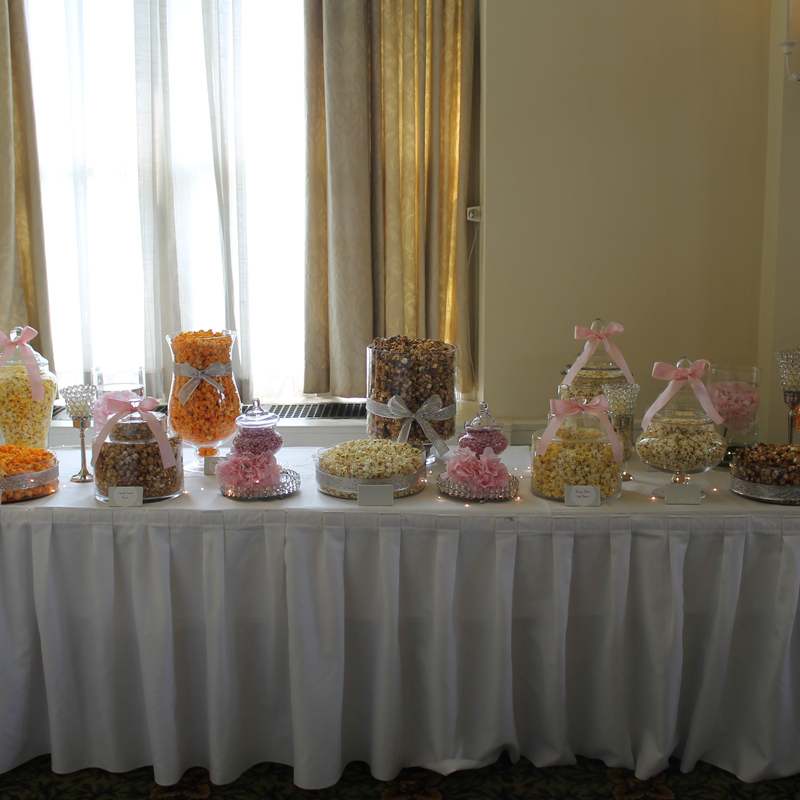 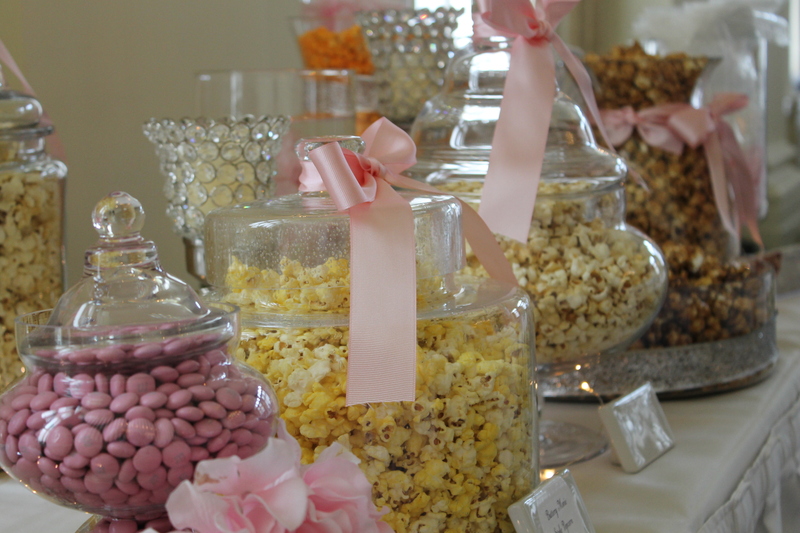 Whether your gathering is formal or informal, our popcorn bar will be displayed to complement your venue.